Postdoctoral associates and postdoctoral fellows are appointed to the research staff where their primary goals are to extend their own education and experience. Although they hold a doctoral degree, they are not considered independent researchers and cannot serve as principal investigators. Persons appointed to postdoctoral titles often participate in the research training of graduate students and sometimes teach informally. Although these are research titles, there are circumstances that permit teaching. The humanities and other non-laboratory-based disciplines may use postdocs in the classroom as a form of scholarship. Postdoctoral associates/fellows also may teach as a way of developing academic skills in anticipation of a faculty career, if the experience is formally mentored and appropriate attention continues to be devoted to development of the research program. Postdoctoral associates/fellows must not be used to supplant the use of lecturers and senior lecturers in the curriculum. The selection of “associate” or “fellow” for the title reflects traditions of the field and, in some cases, sources of funding, although a postdoctoral fellow need not hold a fellowship. Postdoctoral fellows are supported in almost all cases by outside funding agencies. 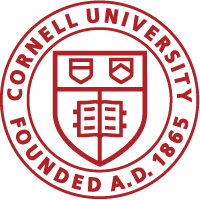 Postdoctoral fellowships in the endowed units can be supported by Cornell funds specifically designated for such purposes, e.g., departmental postdoctoral fellowships. College or departmental funds also may supplement postdoctoral fellowships. Whether the fellowship is paid directly to the individual or channeled through Cornell’s accounting system, postdoctoral fellows are not Cornell employees and do not receive Cornell salary through the payroll system. Postdoctoral associates/fellows are not members of the University Faculty; college faculties may confer voting or non-voting status. Postdoctoral fellows cannot be considered for membership in university or college faculties. The postdoctoral associate and postdoctoral fellow titles are exempt from affirmative action search requirements. There are no lines of progression to regular career titles. Movement to a research associate title is by special exception only. Minimum postdoctoral associate salaries are mandated on an annual basis by the vice provost for research. Postdoctoral appointments are made for terms of up to one year and may be renewed annually, normally not renewable beyond five years. In extenuating circumstances that are temporary in nature, and with the support of the dean’s office, a waiver to extend a postdoctoral appointment for a sixth year may be granted by the Office of Workforce Policy and Labor Relations. When a candidate brings a postdoctoral fellowship that exceeds five years by design, the waiver is approved. Waivers of limit to time in title also are approved when a postdoctoral associate obtains a postdoctoral fellowship and the combined time exceeds the five-year limit. Postdocs with appropriate teaching responsibility may be appointed concurrently to a “lecturer” title – total effort for postdoctoral associates may not exceed 100%. Postdoctoral titles are not in the promotion sequence of research associate-senior research associate. If the faculty sponsor, department chair, and dean agree to convert a postdoctoral position into a research associate position (that carries with it the possibility of unlimited renewals), the change in title can occur only after the incumbent has served three full-time equivalent years in the same Cornell postdoctoral position. Movement to a research associate title must occur as the result of a full search or as an exception, outlined in the Filling Vacancies Policy. Some sponsoring agencies grant host institutions an allowance to help meet the cost of providing postdoctoral fellows with laboratory space, office space, supplies, and equipment. Department chairs must ensure that offering letters to postdoctoral fellows describe in detail those departmental, college, or university resources that can be expected while at Cornell, such as staff support, office or research space, funds for supplies, computer time, long-distance telephone service.